In its latest weather bulletin issued at 11:00 AM, PAGASA said that Typhoon Lawin continues to weaken. It is now moving out of the country and is expected to exit the Philippine Area of Responsibility (PAR) by tonight. 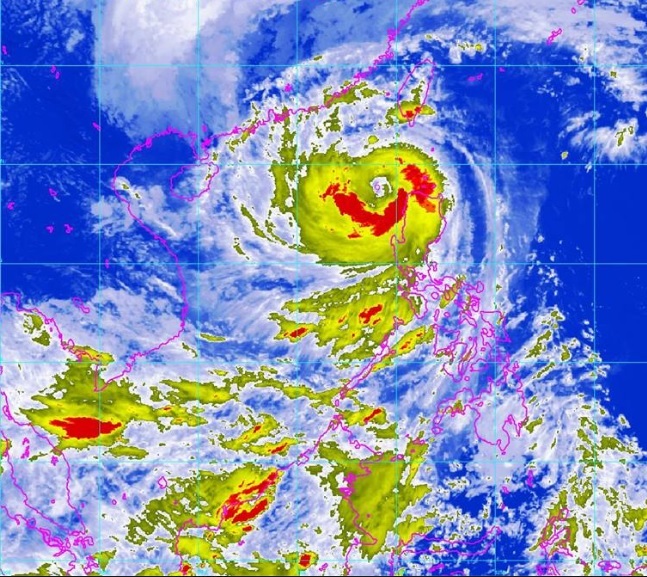 As of 10:00 AM today, the eye of the storm was located 100 kilometers west northwest of Laoag City, Ilocos Norte. The strength of maximum sustained winds near the center is up to 150kph, with maximum gustiness of 185 kph. Rainfall will be moderate to heavy within 700 kilometer diameter of Lawin. Though the storm has weakened, caution is advised on sea travel since it is still risky over the seaboards of Southern Luzon as well as the northern and eastern seaboards of Samar.